Fri., Nov. 4, 2016, 9:13 p.m.
PARIS – Five months after his first French Open title and completing a career Grand Slam in Paris, Novak Djokovic’s reign over men’s tennis could be about to end in the City of Lights. Djokovic, a three-time defending champion, lost in the Paris Masters quarterfinals on Friday, leaving his No. 1 ranking open to being snatched by Andy Murray. The British player can rise from No. 2 to 1 in the ATP list for the first time if he reaches the final. He needs one more win after beating Tomas Berdych 7-6 (9), 7-5. His semifinal opponent will be No. 5 Milos Raonic, who defeated Jo-Wilfried Tsonga 6-2, 7-6 (4). 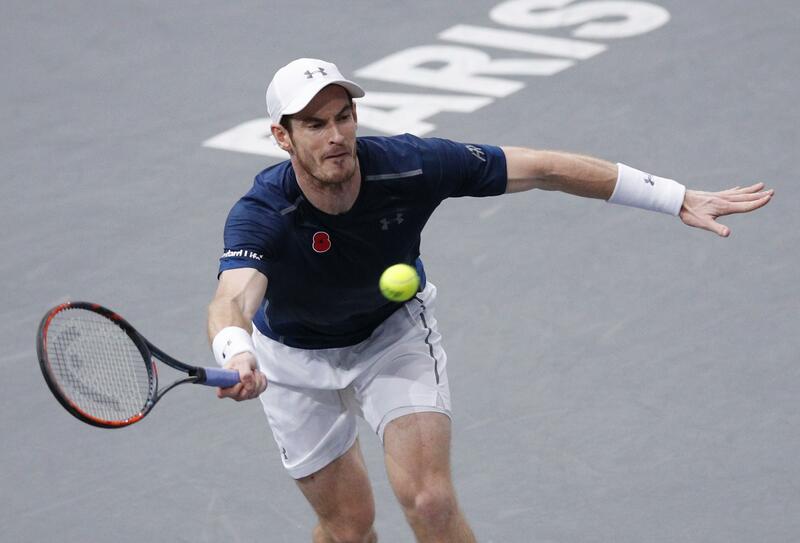 Murray was aware of Djokovic’s defeat when he took the court and was sometimes hesitant against Berdych. He rallied from 6-1 down in the tiebreak, and needed four match points to overcome the Czech. So dominant on the Parisian red clay last June, Djokovic was far from his best on super-fast carpet and was beaten by Marin Cilic 6-4, 7-6 (2), his first loss against the former U.S. Open champion in 15 matchups. Djokovic made uncharacteristic mistakes from the baseline, called the tournament doctor during the first set, struggled on his serve, and destroyed his hopes of a comeback when he served for the second set at 5-4, hit two double faults, and was broken. He fought until the end though, saving two match points in the 12th game with a fine backhand volley and crosscourt forehand winner, the rare moments when he looked like his usual self. But Cilic, who struck nine aces overall, served extremely well to prevail in the tiebreaker and end Djokovic’s 17-match winning streak in Paris. Djokovic has held the top spot for 122 consecutive weeks. But after winning the French Open for the first time in June, his form has yo-yoed. He lost in the third round at Wimbledon, and in the first round of the Olympics. At the U.S Open, he won the first set in the final but Stan Wawrinka rallied to beat him. He admitted his long-awaited victory at Roland Garros took a toll. If he makes the final, Murray, who has spent 76 weeks at No. 2, will become the 26th player to reach No. 1 since the rankings started in 1973. Published: Nov. 4, 2016, 9:13 p.m.